I am on week four of my pre-op diet, so I thought I would post my next three goals. So far, I would say I am doing okay. I cut out pop in my first week and have yet to cheat on that! I’m pretty proud of that one. Week two I promised myself I would eat out less. Since, I have not bought food at school once or gone to Starbucks. I still have went out for dinner with friends, but it’s certainly less than I used to. I try to make healthier choices when I am out, like a chicken salad. I won’t lie, I have struggled with taking my vitamins every day. I’m trying! I know how important it will be after my surgery. I don’t know why I just have such a hard time bringing myself to do it. I usually take my morning dose but after that it’s all to hell! So, I am still working on that one. In less than a month, I have lost 11 pounds. I know it’s not much but I’m getting there! Here are my next 3 steps towards a healthier life. 1. Keep a strict food journal – I have been toying with this for a while. I go a few days and then I stop but it’s time to get serious. I know my doctor will want to see some type of log eventually. I’m going to start using MyFitnessPal. 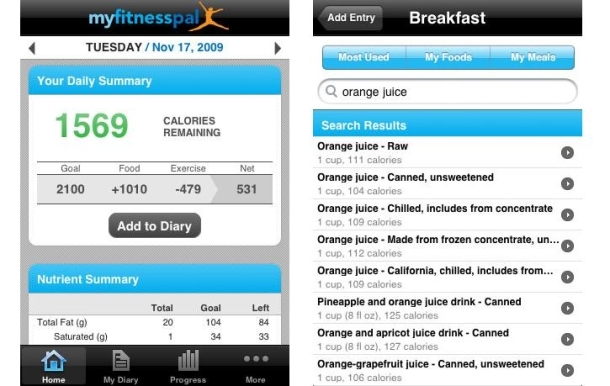 It’s the best iPhone app I have found for keeping track of food (and someday exercise). The app is loaded with foods and their complete nutritional value, which I love! Yes everyone, you can keep track of your calories, protein, fiber and more! Just search the brand or type of food you are consuming and it’s likely to be there. I have yet to input one thing. If you just want to count calories, it also has a quick add option. You can even add friends and track your weight. The app is easy, it’s just remembering that’s hard! This weeks goal is to immediately input everything I eat. 2. 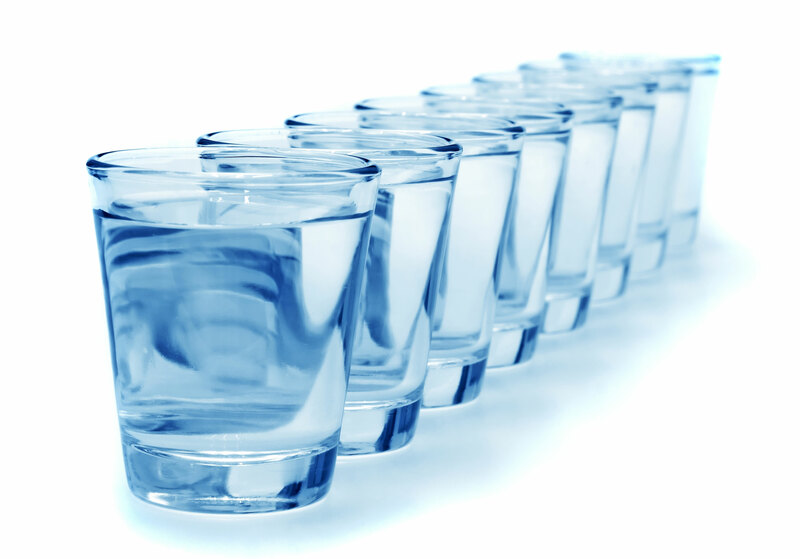 8 glasses of water a day – It’s important for everyone to drink 8 glasses of water a day but it’s even more important for bariatric patients to avoid dehydration. So why not start now! I hear it helps aid in weight loss too. I have already measured my favourite CamelBak water bottle and it’s the equivalent of 2 glasses. Therefore, I have to drink 4 full bottles a day. That shouldn’t be much of an issue for me, seeing as I absolutely love water and always seem thirsty. I plan to track it in MyFitnessPal along with my food just to be sure! Remember everyone, don’t use plastic bottles! Invest in something reusable. 3. 15 minutes of exercise 3x a week – Oh my, this one will be the killer. It’s not that I don’t enjoy working out, I do. I just can’t handle what comes afterwards. As someone with Rheumatoid Arthritis and Fibromyalgia, I just can’t seem to win with exercise. I know, I know. It’s supposed to help those conditions but that has yet to be true for me. One small work out costs me a week of pain. I live a pretty busy life and I just don’t have the time to not be able to move and function properly. It’s so frustrating and has been a never ending cycle that has followed me throughout my life. Living in daily pain is enough, adding to it has always seemed absurd. I tried working with a personal trainer on exercises that were supposed to help me and lead me to weight loss. Absolutely no dice! She would stretch me before and after every workout but I would still wake up crying the next day. So needless to say, this challenge is going to be tough for me. I was recently put on two new medications so I’m praying that they will change something. I do have a free gym in my high-rise, which is awesome. 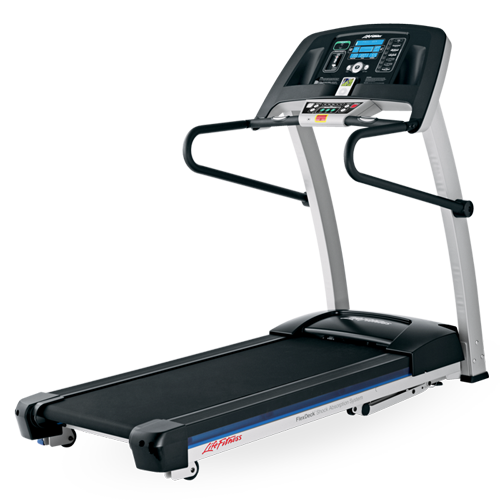 I’m going to try to do the treadmill for 15 minutes, three times a week. Maybe I can try the hot tub or sauna afterwards and see if it helps with the healing! I know I will have to eventually work out more, but this is my starting point and will be my biggest challenge to date. Tonight I am driving home to Pennsylvania for 24 hours so that I can attend my monthly meeting with my primary care physician. I hope she will be happy with my results but I know that I need to do better. I plan on bringing in my list of goals, giving her a link to my blog and asking her some questions about workouts for RA/Fibro patients. I will keep everyone updated on what she has to say! If you would like to follow my journey more closely, follow me on Twitter! Tags: 8 cups of water a day, 8 glasses of water a day, bariatric, bariatric surgery, bariatric surgery and dehydration, bariatric surgery and water, benefits of food journal, benefits of water, best fitness app, best food journal app, best food journal app iphone, camelbak, dr jennifer hardin, dr jennifer hardin heritage valley, dr mary ann dibagio, exercise and fibromyalgia, exercise and rheumatoid arthritis, fibromyalgia, food journal, food journal and bariatric surgery, food journal and weight loss, food journal apps, gastric bypass, how to east into working out, how to start exercising, livestrong, my fitness pal, myfitnesspal, Pennsylvania, reusable water bottles, rheumatoid arthritis, treadmill, upmc, upmc bariatric, water and weight loss, weight loss surgery, why should i drink 8 glasses of water, wls, working out, working out fibromyalgia, working out rheumatoid arthritis. Bookmark the permalink. 11 pounds IS a lot – rock on, girl! I have also found SparkPeople.com to be a great resource – they have message boards for every topic under the sun so perhaps that could be a good way to connect with other RA patients who are trying to lose weight! Even small things like walking back and forth in your living room instead of sitting while you watch a TV show can be huge! Keep up the good work and good luck at the PCP’s office! Thanks Lauren! Yeah, I’ve checked SparkPeople! It’s a good place to get questions answered. Great advice though, you’re the best! When is your surgery and what surgery are you having? You’re gorgeous girl! Love your posts. Thanks Erika! I don’t have a date yet, I’m doing the 6 month pre-op diet currently. Tentatively, sometime in August. I have chosen the Roux-En-Y Gastric Bypass. I want to thank you for your review on Chike! I ordered the variety pack also and so far I am satisfied. If you like shakes, try pumpkin with the vanilla powder. It’s amazing! Yeah, I used to have Spark People but I like MFP better too. Can I tell you how bad I’ve been craving diet coke today! Wow it’s the first time in a month that I’ve just been dying to have one. Wow, two days away! That’s so exciting, good luck! RA & Fibro is literally a nightmare, I can’t even begin to explain.